This season brings a complete change to how many leagues will now take place. We have now two main divisions competing every Tuesday night between September and May. With added competitions such as the Mick Potter Trophy & The E Carterer knockout. Western Alley Skittles is the most popular and basic version of Alley Skittles wherein Nine Pins has long been played in public houses of England. In general, players take turns to throw wooden balls down a lane at the end of which are several wooden skittles in an attempt to knock them all over. 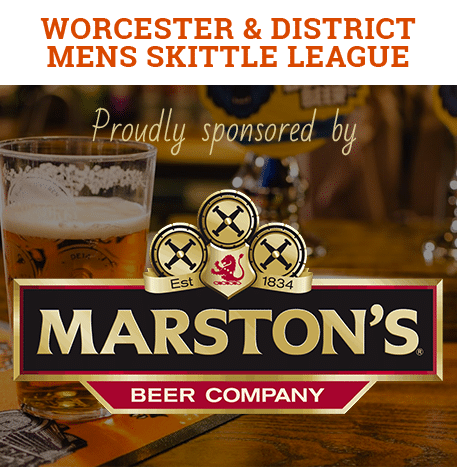 To find out more about the sport and the history of pub skittles visit the traditional games website. To create a team and join our league please contact our league secretary using our new team registration page.